The Mogilevski Duo was created in 1972 when two talented young musicians met each other at the Kharkov Conservatory in the Ukraine. 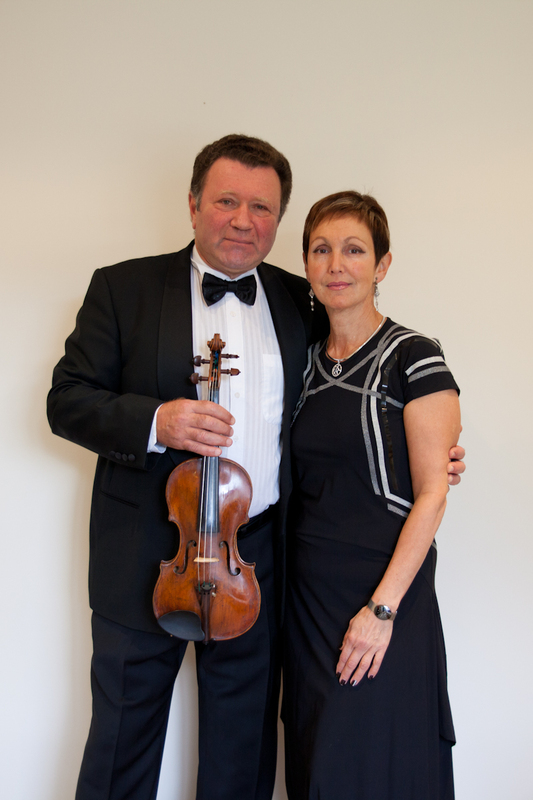 The duo received public acclaim early in their chamber music career, and managed to combine extensive concert activity with solo performances and participation in musical competitions of the highest level. Elena Mogilevski is a prize-winner of the Ukrainian Chamber Music Competition and holds a score of awards for participation in various Ukrainian and All-Soviet Union competitions, and Mark Mogilevski is a double prize-winner of the Ukrainian Competition (for solo and for chamber ensemble performance), winner of the USSR Competition and second prize winner of the International Paganini Competition in Genoa. From 1991, the Mogilevski Duo was based in Europe where their performances were widely acclaimed in the press and received great public support. The duo came to Australia in 1995 and immediately made a name for themselves, giving recitals in Melba Hall and Southgate Church, performing at the Red Hill Festival, the Melbourne Festival (1997-1999) and participating regularly in a number of chamber music concert series.